? 6 months warranty: We offer 6 months warranty on all our products. Return Policy 1. Receive what you ordered or your money back ! 2. If you are not completely satisfied with your order, please send the item back to us in its original packaging and in an unused condition within 7 days and we will gladly refund you.
? Main Cities This is the date we expect the delivery of your package to take place. We normally deliver earlier than the expected date. If anything happens and we are unable to meet up with this date, we will contact you to arrange another date. Outlying Areas If your address falls within an outlying/rural area, please add 2 extra days to the expected delivery date for delivery to be completed.
? Pay cash on delivery for your order. We currently offer Cash On Delivery (COD) all over Cape Town. If you would like your package delivered by COD please select the COD option at checkout.
? If you change your mind within 7 days, please send the item back to us in an unused condition and in its original packaging and we will refund you the cost of the item. ✔ You are R500 Away from Free Delivery! 1. Our batteries are manufactured to the highest standards to power up your laptop for a long period of time without having to charge the laptop frequently. 2. We source from suppliers with over 10 years of experience to make sure we are supplying you, our valued customer the best battery ensuring your absolute peace of mind. 3. Using advanced cell technology and quality parts, the Notebook Laptop Battery guarantees the stamina you need for long work sessions and travel. 4. Manufactured to the highest quality standards available, our notebook Laptop Battery will enhance the performance of your laptop. 5. Our notebook laptop Battery is powered by high quality cells and are premium quality Lithium ion batteries. We advise you to carefully check the Part Number, Pictures and the compatibility before you buy any item! Feel free to contact us if you are not quite sure about the item’s model no. If your item model number is not on the list, please send us your model number via our email address or whatsapp, and we will help you to find the one that will satisfy your needs. PayCheap.co.za is an emerging online wholesale marketplace for goods made in South Africa and overseas, connecting buyers from other African countries with South African wholesale sellers who offer the same quality products found elsewhere at a fraction of the price. PayCheap hosts multiple products in a wide range of categories including gaming on platforms such as Xbox 360, Xbox One, PS4, PS3, Nintendo Switch, Nintendo Wii, Nintendo Wii U and PC, Cables and Adapters such as HDMI cables, VGA cables, HDMI/VGA Adapters Consumer Electronics such as laptop chargers, laptop batteries, laptop screens & DC power jacks, Toys & Hobbies, Health & Beauty, Bags & Jewelry, Home, Auto, and more. Get low prices on top selling products such as but not limited to laptop accessories, gaming, cables and adapters and cell phone accessories. PayCheap provides a buyer protection plan, a secure refund policy, express delivery, and shipment tracking, and is committed to providing a fast, easy, and safe buying experience to businesses and consumers across the African continent. 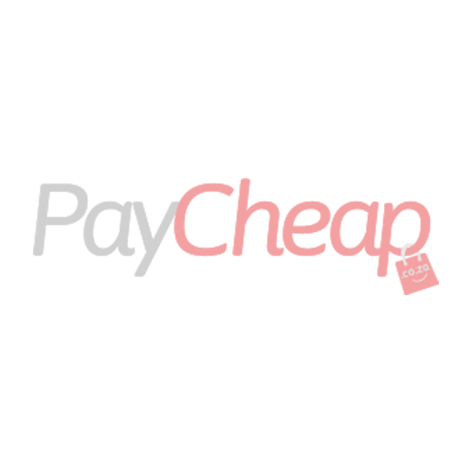 © Paycheap Online (Pty) Ltd.